It would be an understatement to say that South Korean entertainment company Core Contents Media hasn’t exactly enjoyed a bushel full of awesome press lately. After the controversy that saw what is (was?) arguably their most popular and highest-earning girl group T-ara effectively backed into a corner and receiving very little support from either their fan base (as many are aware, their largest fan cafe shut down within days of Hwayoung‘s departure) or the wider K-entertainment community (all endorsement deals except one — which is with a chicken restaurant owned by CCM, so no surprises there — were cut, and both Eun-jung and So-yeon were ousted or largely eliminated from their drama projects, respectively). A lot of the blame has unsurprisingly been placed on CCM CEO Kim Kwang-soo‘s shoulders, and many have questioned not only his managerial ability, but also his integrity as a human being. That the T-ara debacle was handled in the worst way possible is difficult to debate, and whether or not the group will ever be able to fully recuperate is as of yet unclear. With all of the hubbub surrounding T-ara, it was all too easy to forget that T-ara aren’t the only victims artists that operate under CCM — and I don’t know about you, but I completely forgot that pop duo Davichi are T-ara’s labelmates. Or at least, as of a few days ago, they were T-ara’s labelmates. Given that their contracts with CCM expire this month, both Kang Min-kyung and Lee Hae-ri have announced that they will not re-sign with CCM, instead opting to forge a new road with their longtime managers Kwon Chang-hyun and Lee Eung-yong, who will be starting their own entertainment company. Following in Davichi’s footsteps is trot singer Hong Jin-young, who will also be leaving CCM to join Kwon and Lee’s new venture. It has been noted that Kwon and Lee’s plans are entirely separate and independent from CCM; while rookie girl group Gangkiz was recently transferred to a subsidiary company of CCM called GM Contents, Davichi and Hong Jin-young’s departure marks their complete exit from affiliation with CCM. It would be a stretch to say that Davichi’s career under CCM was mismanaged, because the girls have done remarkably well for themselves in an industry that doesn’t have a great track record for being kind to artists of their calibre. Much proverbial ink has been spilled on this and other websites lamenting the solo artist and his/her lack of popularity relative to that of idol groups, and despite the fact that Davichi is not a solo act, they still occupy a grey area outside of idoldom in that they don’t rely on highly choreographed performances and visuals in order to bring in the fans. Neither are their songs exactly club-ready or viral hits; in fact, more often than not they are either moderately-paced ballads straight off of OSTs or poppy tunes that do this kind of weird thing where they start off slow, then pick up into a screaming chorus that is an octave higher than is the rest of the song (it works, but at the same time, it… kind of doesn’t). But one cannot deny their obvious vocal talent and chemistry, and both girls have ventured into successful side projects (acting in dramas for Min-kyung, musicals for Hae-ri) that have expanded their fan bases and broadened their involvement in the entertainment industry. Davichi are, perhaps, the most successful project of their kind in the entire K-pop industry — and with similar endeavors like JYPE‘s new duo 15& (notably featuring K-pop Star winner Park Ji-min) up and coming, it seems as though others have taken note of Davichi’s model and are attempting to replicate it with hopefully similar results. However, even if CCM didn’t wrong Davichi per se, it isn’t hard to understand why they might want to continue to pursue their careers under a different agency. Whether or not any of the allegations against T-ara and Kim Kwang-soo are true (and here I refer to the bullying of Hwayoung, her unfair ouster, the lies and half-truths used to cover up the entire shebang, etc), CCM’s reputation has taken a huge hit and the label has likely been irrevocably tarnished. Already T-ara faces an uphill battle in making a proper and well-accepted return to the K-pop industry; the lukewarm reception their last “comeback” received is likely to be matched by fans unwilling to accept the addition of 14-year old new member Dani come December. Whether or not Davichi would be hit by the resulting backlash is debatable, but give the choice between re-signing with a potentially damaged agency that may never enjoy the degree of prestige and power in the industry that it once did and striking out on one’s own… well, it isn’t exactly a no-brainer, but it isn’t a terribly difficult decision to make, either. Though CCM is at least established to a certain degree (and clearly has enough cash to keep buying out Newsen), the highly public fallout following Hwayoung’s dismissal is worrisome. Of course, a representative from CCM has already come forward to state that Davichi’s decision to part ways with their label has nothing at all to do with the T-ara incident — and maybe it really doesn’t. Maybe Kwon and Lee had cooked up this plan to get out before the T-ara bubble burst, and CCM’s current troubles have just given them all the more reason to cut ties now — and maybe Davichi had always planned on pursuing different things once their initial contract with CCM had expired. We as fans will likely never know the truth. What is true, however, is that this Davichi’s future from here on out is a lot less clear. Though it isn’t terribly uncommon in K-pop for artists to branch out and form new entertainment companies (think Rain forging his own path with J.Tune Entertainment, or Epik High leaving Woolim temporarily to form Map the Soul), whether or not the new company will be able to stand on its own two feet is questionable. Kwon and Lee have managed Davichi for the majority of their careers, but managing artists and managing a company are vastly different things. Whether or not this will affect Davichi’s abilities to properly promote remains to be seen. On the other hand, the move might also present Davichi with creative opportunities and heretofore unexperienced license over their own material, which could mean great things for those of us who have eagerly consumed their music and have been anxiously awaiting another comeback. After all, it has been over a year since “Don’t Say Goodbye” was released; a comeback is nigh, is it not? In any case, Davichi has promised fans an update as their move to this new label becomes clearer, so it looks as though we will just have to wait and see. What do you think, Seoulmates? 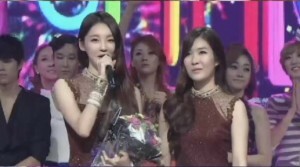 Did Davichi make the right call?